Spent Tuesday afternoon through Thursday noon with the Middle East Coordinating Group at Stony Point Center. They were working on a study resource on the Kairos Palestine document. Got back to the Shire on the Hudson around 1:00 Thursday. Plunged right back into things. Went to First Presbyterian Church of Whitestone where I was reminded what a blessing my calling is. Friday brought meetings. It also brought my friend David Bowie. We are leading an antiracism event on Sunday in Plainfield, NJ. Over Fritos and Kashi Snack Crackers, we reminisced about the dogs that have touched our lives. The NFL draft took place. Eric filled me in on what Cleveland did. I tracked the Steelers a bit. One (that would be me in this case) does wonder what will happen with the NFL season. Tomorrow will be a day to prepare for Sunday and to try to catch up. Written as we said farewell to Charley, our wonderful canine companion. 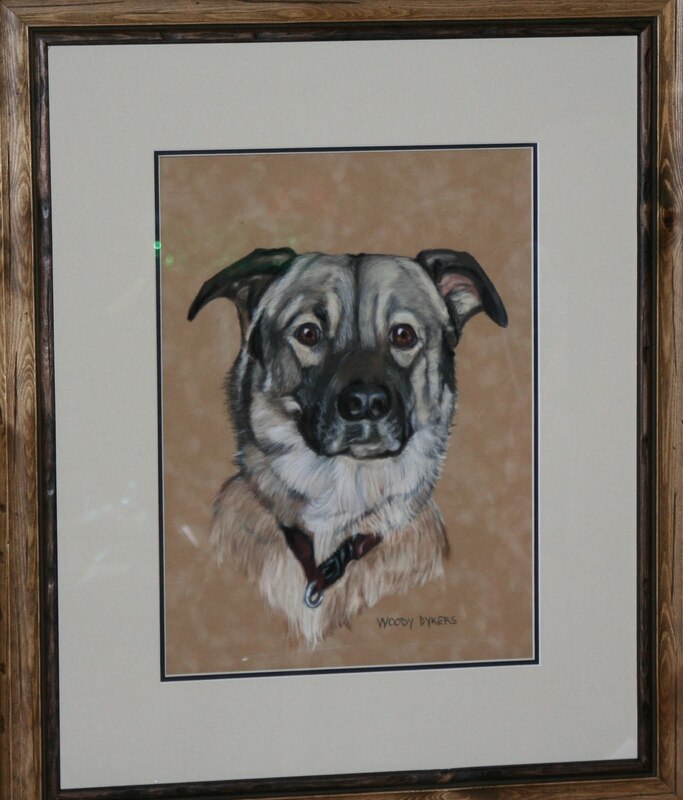 Tricia’s brother Woody is an artist who specializes in portraits of pets using pastels on suede board. For Christmas we had him do a portrait for each of the guys – one of the best presents we have ever given. With many fond memories . . . RIP Charley. Posts have kind of taken a new direction. But the Road goes on – “ever on and on” to quote Bilbo or Frodo or Tolkien. I am at Stony Point Center tonight and will be here again tomorrow. I’ve been watching movies now and then as well. Probably the best recent one has been a documentary – For Love of Liberty – about African-Americans and their service in the military. A lot to ponder there. I am filled with wonder. He’s grown some. He’s a bit bigger now. This was taken long ago – the day he came to live with us. He is Sean and Eric’s dog – their first dog. Eric and Sean picked him thoughtfully and carefully, working so well together. They loved him well. They love him still. When Sean and Eric left home for work and school, my brother and his family adopted Charley. We met in a park and shared a meal. Then they said, “Come Charley,” and he walked off with them and climbed into their car as though he had known them forever. My heart twinged when Charley never looked back and happily went off with Paul and Cindy, Billy, Greg, and Tommy. And well he should have gone – for they love him – he has found a good second home. Yet he remembers us – always remembers us – always remembers Eric – always remember Sean – always remembers Tricia. You can tell in his eyes and in the excited way he greets us whenever we see him – which is, not as often as we might like, but often. Now Charley ails. Seriously ails. 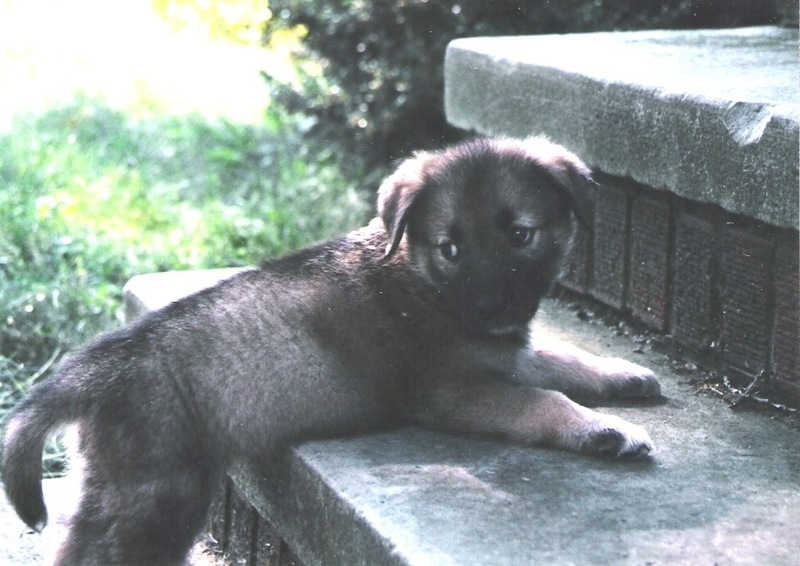 An older bigger dog (did I mention that he grew and that the picture is from long ago) he faces health challenges. But come what may, he is loved and he is receiving good care and he will receive good care. And I am grateful to my brother and his family. As I ponder what may be, tears well in my eyes. I bite my bottom lip to hold them back and memories flood over me. A smile dances in my heart and gently crosses my lips – a smile for Charley – for my sons – for my family – for love that never dies.